Skylars Raiders | Just Win Baby! Rudi packed his bags, but Tatum bell grabbed em. Dirty Rotten bag grabber. He got the bags back but all the stuff was gone….even his boxers! 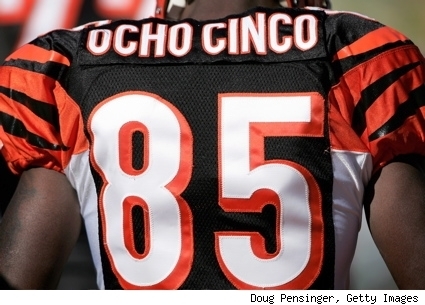 Chad changes his name to Ocho Cinco…no seriously. I guess he really wanted it on the back of his jersey. He will get that chance beginning this Sunday. Chris Sims finally gets cut from the Bucs. Rudi Johnson thought he was gonna get traded, cuz the Bengals were shopping for a wide reciever, but he got cut. John Lynch got cut from the Pats. The just signed him, why did they cut him? The Pilsbury Throwboy, Jerrod Lorenzen is out of Indy. Quinn Gray too. 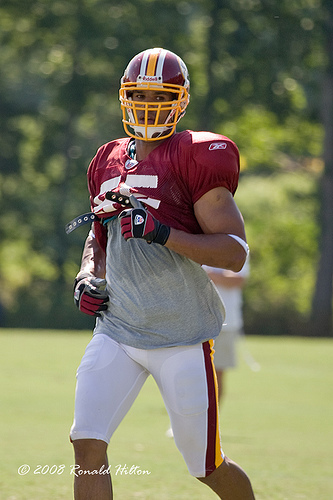 Stu Sweigert got cut from the Redskins, picked up by the Gints, then cut. Final proof that the Raiders were right in cutting him. Osi Down! and Out! for the whole season! 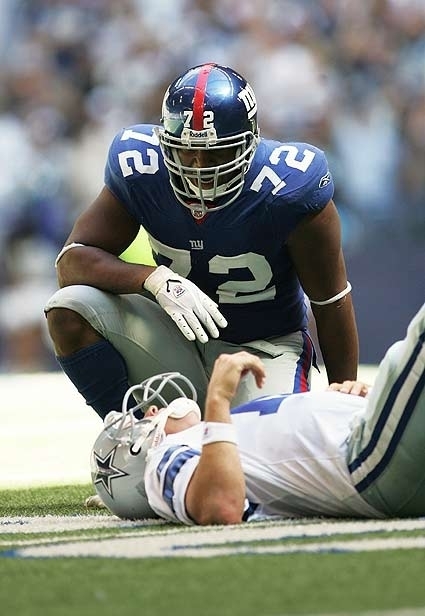 When Strahan left it to Osi, he didnt want him to get injured, and he might have to come back. Good think Justin Tuck is there. Jason Taylor gets injured in pre season. Why were they starting him anyway? You should never start your starters, because they can get injured really bad. 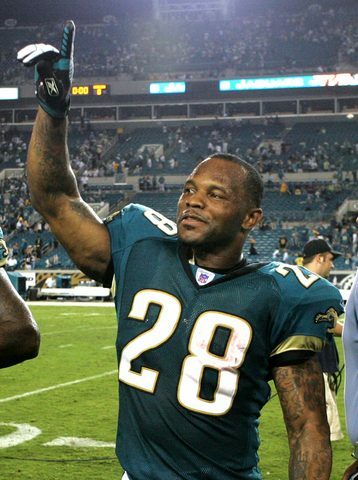 Fred Taylor was arrested for disorderly conduct in Miami Beach. He isnt suspended…..yet. Come on Fred! Get it together. This is embarrasing! Brett’s a JET!!! 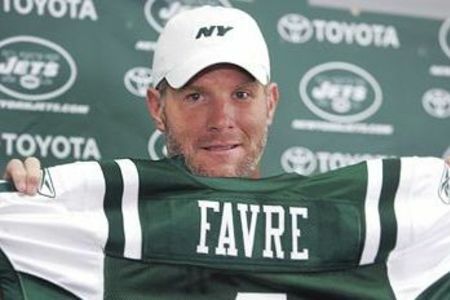 Retires early March, comes back, asked to be released, they say that I can stay in Green Bay, I get there, and then they trade me to the Jets!